The Goldman chief — once a scrappy kid from East New York — is taking a chance on the American consumer. But is it a mistake? But humility goes just so far in explaining Blankfein’s newfound passion for Joe Sixpack. Goldman’s move into consumer credit — with an online loan and deposit platform it calls Marcus — is the most publicized part of an attempt to convince skeptical investors and analysts that it can adapt its business model to an era when large pure-play investment banks are melting away. Lehman Brothers and Bear Stearns are distant memories. Morgan Stanley is morphing into a wealth manager, while Deutsche Bank and Barclays wish they could. Of the bulge-bracket investment banks that existed before the global financial crisis, only Goldman Sachs is left standing with a largely intact trading and investment bank mix. But recently, Goldman has lost its luster. Its investment bank still leads or hovers near the top of industry league tables, and its wealth and asset management unit generated record net revenues last year. The problem is that Goldman has come to be viewed as overly dependent on trading markets gone sour. In 2017 net income of $4.3 billion nosedived by more than 40 percent from 2016 earnings. Blankfein isn’t fazed. Having grown up in some of New York’s toughest neighborhoods, he can display elbows-high reflexes and a wisecracking attitude in encounters with critics. Besides, as Blankfein points out, he faced far deeper investor doubts a decade ago in the midst of the financial maelstrom. “It was November 2008 — Lehman fell in September — and I was asked whether we were going to stay in investment banking,” he recalls. “Then came 2009, which was our all-time best year.” Blankfein thinks the naysayers will be proved wrong once more by market swings that will again favor the Goldman model. Goldman’s current troubles are mainly focused on its core fixed-income, currency, and commodities trading. Poor results in its fixed-income, currencies, and commodity division (FICC) are largely to blame for lagging revenues, profits, and valuation. And Goldman ended last year with its first quarterly loss since 2011. The red ink was the consequence of a onetime charge tied to the new tax law, but the financial headlines were still a shock. Complicating the situation is talk on Wall Street that Blankfein, 63, is nearing the end of his reign after 12 years at the pinnacle. The speculation began in September 2015, when the firm disclosed that he was diagnosed with lymphoma. Following chemotherapy, he has been in remission. But in December 2016, Goldman named as co-presidents and co–chief operating officers Harvey Schwartz, 53, and David Solomon, 55, making them the two likeliest candidates to succeed Blankfein. And the lackluster financial results since then have led to guessing games among analysts about who will be tapped and how soon. In the meantime, neither Blankfein nor Goldman is standing still. In presentations to investors beginning last September, the firm touted a plan for an additional $5 billion in annual revenues — a 16 percent rise — by 2020. The plan aims to revamp the troubled FICC business, increase equities revenue, and ramp up consumer and corporate lending. It also seeks to improve on impressive investment banking results linked to financial advisory and underwriting activities. Fortunately for Goldman, its revenue-raising plan is sailing with favorable economic trade winds at its back. A steep tax cut in the United States and a return to robust global economic growth have raised forecasts across the financial services industry. The current year may well lead to the rising interest rates and market volatility that could provide a temporary lift to trading. If that happens, Goldman will face less pressure from investors to embrace a broader, more transformational strategy as archrival Morgan Stanley has done with its burgeoning wealth management unit. Blankfein claims the prospect of better trading markets is already taking the heat off Goldman. At a Miami conference hosted by Credit Suisse in mid-February, a feisty Blankfein told investors that Goldman intended to funnel more capital into its FICC operations. “And nobody questioned me about it,” he says. But even in an improving economic climate, it won’t be easy for Goldman to achieve its 2020 targets. Over the past decade FICC revenues have plunged across the industry because of low market volatility, regulatory restrictions on the use of bank capital for trades, and technology that has squeezed margins. Goldman’s Marcus consumer lending business is growing fast but is gambling that the credit cycle won’t end anytime soon. Plans to increase corporate lending must compete against larger, deeper-pocketed banks that offer a wider array of financial products for business clients. Investors complain Goldman overlooked opportunities years ago to acquire a wealth management network that would have balanced its up-and-down trading operations and buttressed its investment banking activities. But Blankfein scoffs at Wall Street’s romance with wealth management, which he sees as directly linked to the lengthy bull market in equities that may be coming to an end. “Everybody now thinks wealth management is the be-all-end-all,” he says. “But what will it look like in a long bear market? He and his management team are determined to prove that their basic business model remains as viable today as when it was crafted more than three decades ago. “We don’t see our business mix as written in stone,” says chief financial officer R. Martin (Marty) Chavez. But neither do they see any major acquisitions ahead that would take Goldman in a new direction. That kind of radical change of course last happened in 1981 when Goldman bought J. Aron & Co, a commodities trader, and merged it with its investment bank to create the current model. The deal also brought into the firm its future chairman and CEO in Blankfein, who got his start as a young commodities trader at J. Aron and remains a fierce champion of FICC trading. So investors and analysts are left to ponder whether Goldman is looking beyond a short-term market lift and a possibly exaggerated longer-term enthusiasm for consumer finance. “It’s unclear if they know what they want to be,” says KBW’s Kleinhanzl. If that's the case, then it is one of the few times in its lengthy history that Goldman has lost its bearings. The firm traces its origin to the mid-19th-century arrival to America of Marcus Goldman, a Bavarian immigrant. Working first as a peddler on a horse-drawn cart and then as a shopkeeper, he became a broker of IOUs in lower Manhattan in 1869 — nowadays officially recorded as the year when the future financial powerhouse was born. The firm named itself Goldman Sachs & Co. in 1885, three years after Marcus’s son-in-law Samuel Sachs joined. By the early 1900s, Goldman Sachs was a major corporate lender and investor. Despite its leading role in arranging IPOs over the rest of the century, the firm itself went public only in 1999. But more than any other listed bank, Goldman retains some of its previous private aura, most notably in its insistence on calling its 450 most senior executives “partners,” even though they own less than 6 percent of the company. Blankfein came of age when Goldman was more likely to overlook somebody from his modest background. Born in the Bronx to working-class parents — his father was a postal clerk and his mother a receptionist at a burglar alarm company — he grew up in a public housing project in East New York, one of the city’s highest-crime districts. He attended college and law school at Harvard University on scholarship. In 1982, after four years in law practice, Blankfein joined J. Aron & Co., the commodities trading firm that had been acquired by Goldman only months before. 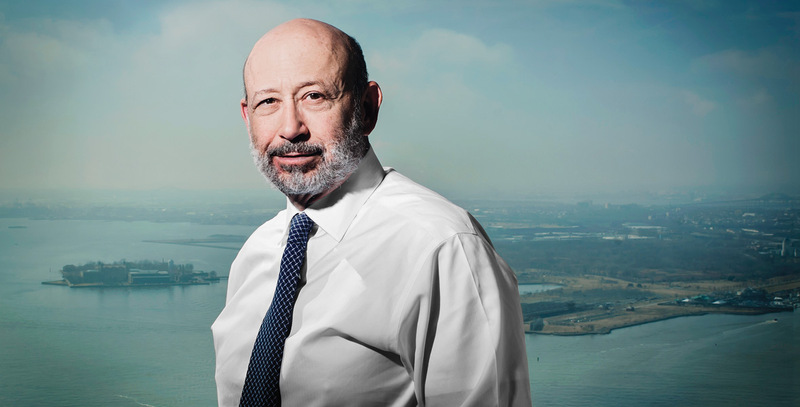 Beginning as a gold trader in the London office, Blankfein rose through Goldman’s growing commodities business to head the FICC and equities division. He was the first of several J. Aron alumni to reach the upper rungs of Goldman as trading became the biggest revenue generator for the firm. Blankfein has been chairman and CEO of Goldman since 2006, when Henry Paulson relinquished the firm’s leadership to become secretary of the Treasury. The global crisis jolted Goldman, which was deeply involved in the securitization of subprime mortgages. In November 2008 the firm received a $10 billion government bailout as part of the Treasury Department’s Troubled Asset Relief Program. But Goldman recovered far more quickly than most banks. By June 2009 it had repaid the bailout along with 23 percent interest. That same year its market value exceeded Morgan Stanley’s by $50 billion. And also in 2009, Goldman’s FICC revenues peaked at $33 billion — equivalent to more than a quarter of the industry’s FICC total. Understandably, Blankfein concluded that Goldman’s best postcrisis strategy was to leverage its dominant market position, benefit from the low interest rates, and take advantage of the weakened competition to rake in ever-higher trading profits. But trading was about to be hit hard by the regulatory reforms that followed the global financial crisis. Under the Dodd-Frank bill signed into law in 2011, banks are required to hold higher levels of capital and more liquid assets — as opposed to higher-yielding assets. This sharply limits their ability to leverage their balance sheets and has caused return on equity to tumble. Before the crisis, financial firms involved in trading were often leveraged by 30 times their balance sheet; now their leverage is half that. Largely because of its heavy exposure to FICC trading, Goldman has seen its ROE plunge from 29 percent in 2007 to 10.8 percent a decade later. While still high, it may not be enough to sustain much longer the ROE premium Goldman has long enjoyed over its peers. The new regulatory environment has led to a reduction in trading activity, especially because European investment banks like Deutsche, Barclays, and Credit Suisse continue to shrink their FICC operations. But that hasn’t resulted in the imbalance in supply and demand that Goldman was counting on. One explanation is the strong emphasis throughout the financial industry on bringing costs down through automation. Goldman has always been a leader in technological investments aimed at cutting expenses. Where there used to be row upon row of equity, fixed-income, and commodity traders, now computers and robotraders reign. The FICC headcount has declined by 20 percent since 2012. And with engineers accounting for more than a quarter of Goldman’s 34,400 employees, an MIT computer science degree has as much cachet as a Harvard MBA among new hires. Unfortunately for Goldman, the rest of the financial industry has also been smitten by technology, causing trading commissions to contract. Exchange-traded funds have grown far beyond the scope anybody imagined a decade ago. By the end of 2017, ETF assets topped $3.4 trillion. 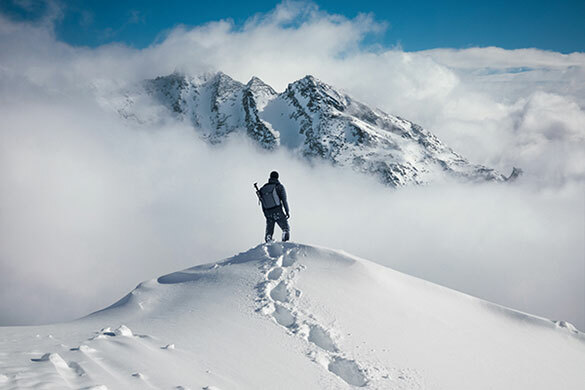 Wealthy investors can still turn to an actively managed firm that promises them the best research and charges 1 percent or 2 percent plus an exit fee. But increasing numbers of financially conservative baby boomers have opted instead for ETFs that charge only pennies a share and let them exit in seconds for free. “It’s ETF algorithms versus Wall Street research,” says Bove. “BlackRock understood what Goldman didn’t. That’s why BlackRock is managing more than $6 trillion in assets.” (That includes some $1.75 trillion in ETFs). FICC revenues industry-wide shrank from $121 billion in 2009 to $68 billion in 2017, according to data analytics firm Coalition. They plummeted even faster at Goldman, which last year made only $5.3 billion in FICC revenues, less than a sixth of its 2009 record total. Revenue from commodities — the engine of Blankfein’s rise — tumbled by 75 percent from 2016, recording its worst annual performance ever. Overall in 2017, Goldman had net revenues of $32.07 billion, up from $30.61 billion the year before. But its $4.3 billion net earnings in 2017 were a 42 percent drop from 2016 income of $7.4 billion. Thus far, Goldman’s reaction has been to double down in its FICC businesses. Having identified the gas and power sector as the biggest culprit in the commodities unit’s decline, the firm is betting that higher, more volatile energy prices this year will improve revenues. That view is in keeping with Goldman’s famous dictum of being “long-term greedy” — meaning the firm doesn’t worry about short-term losses if it believes larger returns are likely to be the norm. While it's hard to buck these adverse trends, Goldman is looking for ways to make FICC more profitable. One initiative, discussed by the bank with investors as part of its three-year growth plan, is to change its business mix in favor of corporate clients. Goldman has been overly dependent on hedge funds and active asset management firms that have reduced their FICC appetite because of the low volatility of the markets. But corporations, especially multinationals, must deal constantly with multiple currencies, fluctuating commodities, and fixed-income instruments. Goldman is hoping that increased trading activity with corporate clients will help deliver a good chunk of the $1.5 billion it predicts from a revamping of its FICC business plus a rise in equities revenues. That would account for 30 percent of the $5 billion plan in additional annual revenues by 2020. Goldman’s low deposit base compared to those of larger rivals is a further constraint on corporate lending. Goldman may have to turn to wholesale funding — at higher costs and longer durations — because it doesn’t have the institutional deposits of a Bank of America or Wells Fargo. Increased lending and financing are supposed to contribute $2 billion — or 40 percent — of the $5 billion revenue enhancement plan. To the surprise of many investors and analysts, Goldman has rushed into consumer finance to cover much of this segment of the plan. In 2016 it launched Marcus, a personal loans and savings operation, named after Goldman’s founding patriarch. Marcus targets lower- and middle-income customers, in sharp contrast to the traditional Goldman clientele of ultra-high-net-worth individuals and multinationals. It is an online platform aimed at consolidating heavy credit card debts with unsecured loans of up to $40,000 at 11 percent to 13 percent annual interest for periods of three to six years. By the end of 2017, Marcus had originated $2.3 billion in loans and gathered more than $17 billion in deposits. But investors worry about such aggressive growth in a business segment unfamiliar to Goldman — and possibly at a late stage in the credit cycle. Consumer finance is notorious for a checkered history of rocketing profits during periods of rapid economic expansion and plummeting losses in recessions. Goldman says it has resisted the temptation to go after less creditworthy clients for higher yields. The firm insists Marcus customers have solid repayment records. Last year, as usual, Goldman was at or near the top of the league tables. It ranked first in mergers and acquisitions, as well as in worldwide equity and equity-related offerings and common-stock offerings, according to Dealogic. The investment banking division produced net revenues of $7.37 billion, its second-highest annual performance, with record underwriting and strong financial advisory results. The firm’s leveraged finance business brought in record net revenues in debt underwriting. “The company is an extraordinarily good investment banking firm,” concedes Bove, otherwise an acid critic of Goldman’s management team and overall strategy. Goldman’s wealth and asset management franchises, grouped under its investment management division, also delivered sterling results. They generated a record $6.22 billion in net revenues and increased AUM by 8 percent over 2016 to a record $1.49 trillion. The investment banking and management divisions are supposed to contribute most of the remaining $1.5 billion in the $5 billion annual revenue enhancement plan. And what appears to be a favorable macro climate this year should keep both businesses on their upward course. Global economic expansion and tax cuts mean more money for M&A and IPOs. Tax cuts could also tilt the playing field in favor of Goldman against European rivals. “It gives U.S. banks a significant competitive advantage over European rivals,” says Davide Serra, London-based CEO and founder of Algebris Investments, a financial sector–focused hedge fund. That’s because the big American banks make two thirds of their earnings in the U.S. and will now be taxed at a much lower rate, while the European banks earn most of their income in their home countries, where their tax rates remain unchanged. Goldman took a onetime $4.4 billion hit from the tax reform that largely accounted for its fourth-quarter loss last year. But going forward it expects the reduced tax rate to generate high single-digit percent increases in earnings. And investors are rewarding Morgan Stanley for its balance between investment banking and wealth management. The firm’s $101.4 billion market capitalization has overtaken Goldman’s $100.6 billion market cap. Maybe Lloyd Blankfein will get to play George Bailey in the IMAX remake.